I prefer CompactFlash cards to SD, despite the bulk, for speed and durability. (Also, I shoot with big cameras that take big cards.) 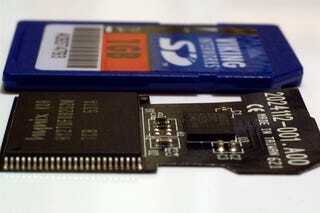 SD card version 4.0 fixes the speed issue, with transfer speeds of up to 300MB a second.